Over the past year, I have really been making an effort to have a more healthy lifestyle. I've lost almost 20 lbs. I've become more active - jogging at least 3 days a week, playing soccer with the small people, basically not just sitting around on my behind anymore. I've also been choosing better foods to put into my body. I want my children to grow up making good food choices, and that's not going to happen if I'm not modeling it for them. Enter GrubMarket - an online store that offers farm-fresh, organic food delivered straight to your doorstep. What could be better? We received the regular-size California Fruit Bounty Box to review. Not only did the fruit look amazing, it all tasted amazing as well. The apples were incredibly juicy. My kids love guacamole, so the avocado already had a job to do. Ha! Some of the other fruit - I had to do some research on how to use it, like the pomegranate and the pommelo. Although I was impressed with the variety and the quality of fruits in our box, my favorite thing about GrubMarket is the convenience of having it delivered right to my doorstep. No going out in the cold or rain to the grocery store or the farmer's market, hoping that I might find some decent fruit in the middle of winter. 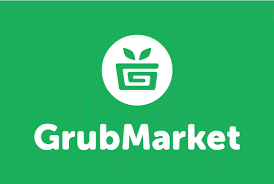 As one of my readers, you can receive 20% off your first order from GrubMarket by using the code GRUB20. Plus there's free shipping on orders over $59. 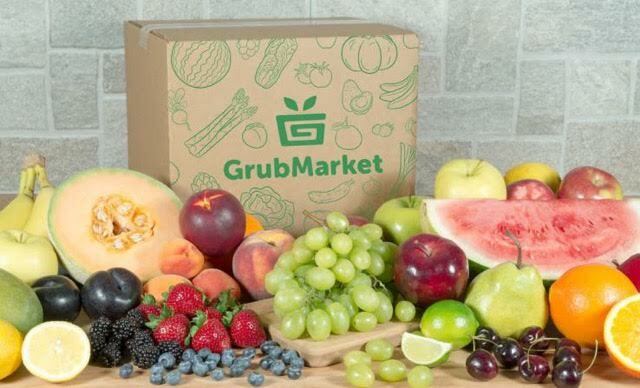 Not only was given the opportunity to review GrubMarket, but I also get to giveaway a regular-sized box to one of you lucky readers! Simply enter the giveaway below for your chance to win.